9.1.1 The extent of testing and monitoring should be given in the specifications of the design. 9.1.2 The specific procedures for verification, control and acceptance shall be established before the commencement of the work. 9.2.1 In order to check that construction complies with the design and other contract documents, qualified personnel experienced in the technique shall be in charge of the execution work. 9.2.2 Where unforeseen conditions are encountered or new information about soil conditions become available, they shall be reported immediately in accordance with the specified information procedures (see 7.5.1 j). 9.3.1 The compliance with the design assumptions shall be verified in respect of strength characteristics, deformation properties and homogeneity of the columns, and, where relevant, in respect of their length and diameter, permeability, inclination and overlap. 9.3.2 The extent and the methods of performance testing shall be defined before the commencement of the deep mixing works in each individual case (type of application and specified tests). NOTE The extent of testing and the testing methods depend on the application and the functional requirements. Guidance of appropriate methods of performance testing of treated soil (e.g. unconfined compression tests, triaxial tests, oedometer tests, column penetration tests, reverse column penetration tests, CPTU tests, pressuremeter tests, seismic tests) is given in the informative Annex B. 9.3.3 Quality control tests should be uniformly distributed both in time and between the mixing tools utilised. 9.3.4 The control tests should cover a sufficient number of columns to establish the distribution and the average value of column properties for each significant soil stratum comprised in the deep mixing work. 9.3.5 The number of columns to be tested should be decided in each individual case, taking into account the purpose and the extent of the treatment, and the application. 9.3.6 Where appropriate (e.g. in connection with immobilisation, containment, and retaining wall applications), relevant chemical tests should be performed (e.g. determination of content of chemically active substances, pH value, carbonate content, chloride content, sulphate and sulphide content). 9.3.7 Where overlap is an essential part of the design, the width of the overlapping portion between adjacent columns shall be checked. NOTE The width of overlapping can be verified by the use of inclinometers during penetration and retrieval and by drilling across the columns or visual inspection. 9.3.8 Columns exposed as retaining elements shall be visually inspected for nonhomogeneities during excavation. 9.4.1.1 The following construction parameters and information shall be monitored continuously during execution, or at least at a depth interval of 0,5 m (see Table 1). NOTE In certain applications, especially where wall continuity is important, it is required to monitor positioning and verticality of the mixing tool. 9.4.1.2 Some limited information on soil type and groundwater conditions may be obtained from monitoring the machine operation parameters (such as power consumption and penetration resistance of the mixing tool) and spoil. 9.4.1.3 The construction process shall be controlled and relevant construction parameters as well as information concerning the ground conditions and construction tolerances shall be monitored during execution. 9.4.1.4 The execution should be monitored automatically, preferably with the aid of a computerised system. NOTE In a computerised system, the feed pressure, feed rate, type of mixing tool, binder factor, binder content, water/binder ratio are recorded. For each column that has been installed a print out is obtained. This makes it possible to judge at an early stage whether or not a readjustment of the installation technique is required and if extra columns need to be installed. 9.5.1 Vertical and lateral movements of the ground should be monitored by appropriate methods. 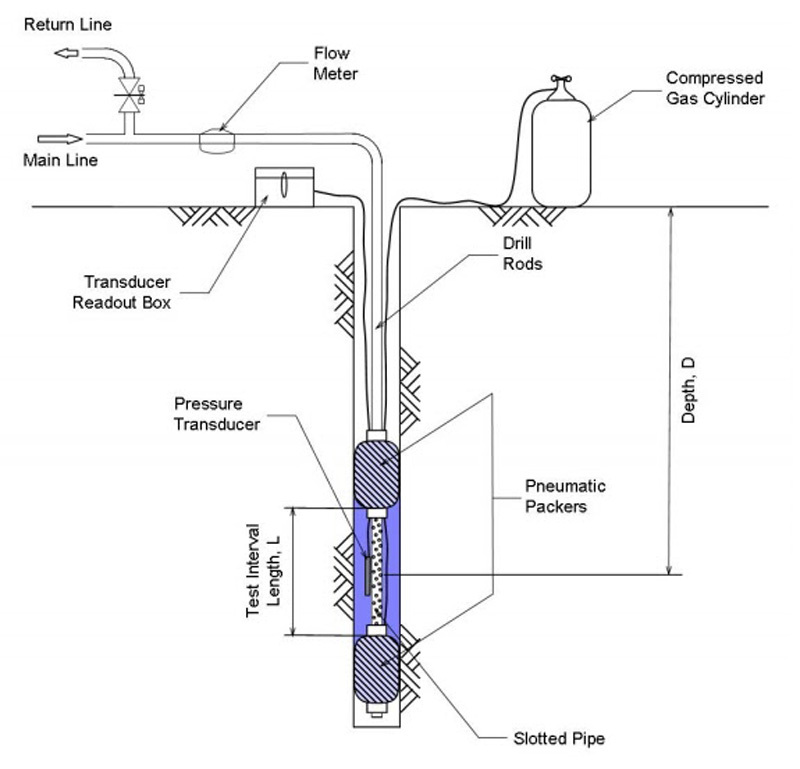 For certain applications, other parameters, such as pore water pressure, should be monitored. 9.5.2 Deviations from specified design limits shall be reported. 9.6.1 Monitoring instruments shall be installed early enough to have stable reference values before the start of the work. 10.1.1 Records shall be made of relevant aspects of the construction: execution of columns, tests and observations as described in Clause 9 and these shall be available at the site. 10.1.2 The following execution parameters shall be recorded during execution (see Table 2). d) details of relevant geotechnical soil conditions. 11.1.1 Only those aspects of site safety and protection of the environment that are specific to deep mixing, are considered in this chapter. 11.1.2 All relevant European and national standards, specifications and statutory requirements regarding safety and environment during execution of the work shall be respected. 11.2.1 Particular attention shall be drawn to all processes requiring personnel operating alongside heavy equipment and heavy tools. In particular, the operation of the mixing equipment can be hazardous and specific consideration shall be given to the safety of personnel working in the vicinity of rotating equipment. Handling of materials and products shall be carried out in accordance with the manufacturer’s safety instructions. 11.3.1 Construction should identify and take into account environmental restrictions such as noise, vibrations, pollution of air and water and impact on adjacent structures. 11.4.1 Where sensitive structures or unstable slopes are present in the vicinity of the site or possible sphere of influence of the installation works, their condition should be carefully observed and documented prior to and during the installation works. The Lugeon test, sometimes call also Packer test, is an in-situ testing method widely used to estimate the avarage hydraulic conductivity of rock mass.